Our jug size contains a full gallon (16 cups) of fresh and spicy tasting Dried Jalapeno Peppers!Excellent for backpackers, RV'ers, or for your cupboard! 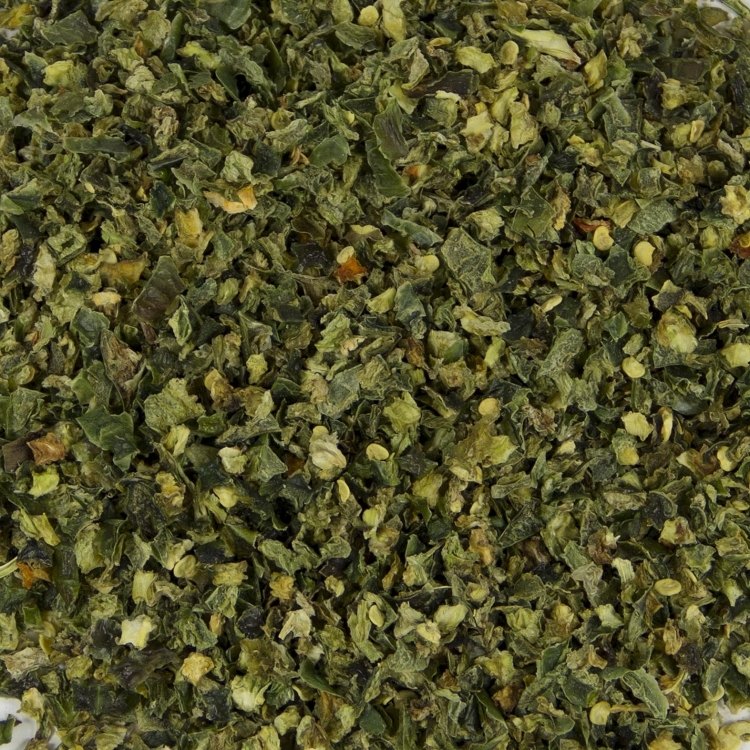 Use dehydrated Jalapeno Pepper flakes to add a South American flair to any dish! Our dehydrated Jalapeno Peppers have a "zing" to them, but they are not overpowering. Add a tablespoon to chili, mexican corn chowder, or any dish to give it the spice of life. 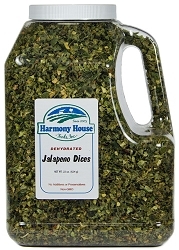 Our JUG SIZE contains a FULL GALLON (16 Cups) of fresh and spicy tasting Dried Jalapeno Peppers! Excellent for backpackers, RV'ers, or for your cupboard! 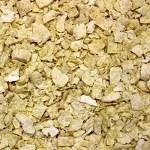 Use dried jalapeno flakes to add a South American flair to any dish! Our dehydrated Jalapeno Peppers have a "zing" to them, but they are not overpowering. Add a tablespoon to chili, mexican corn chowder, or any dish to give it the spice of life. 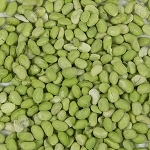 One pound of our dehydrated jalapenos equal seven pounds of fresh--AND because our jalapeno dices are dried, you can have them ready for use at any time!